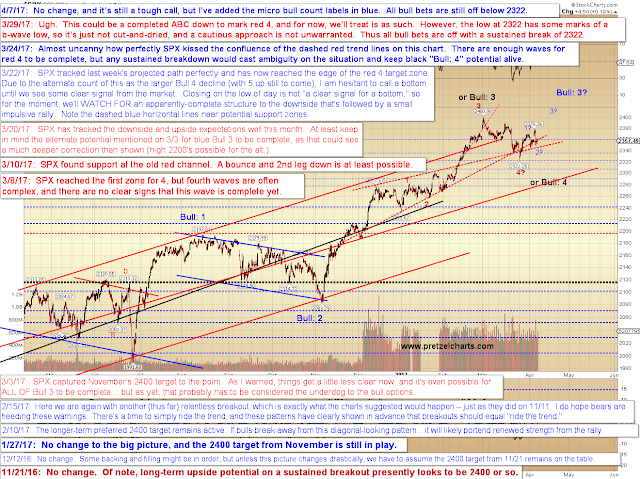 Since last update, SPX briefly cleared 2371, but then failed that level in the same session. 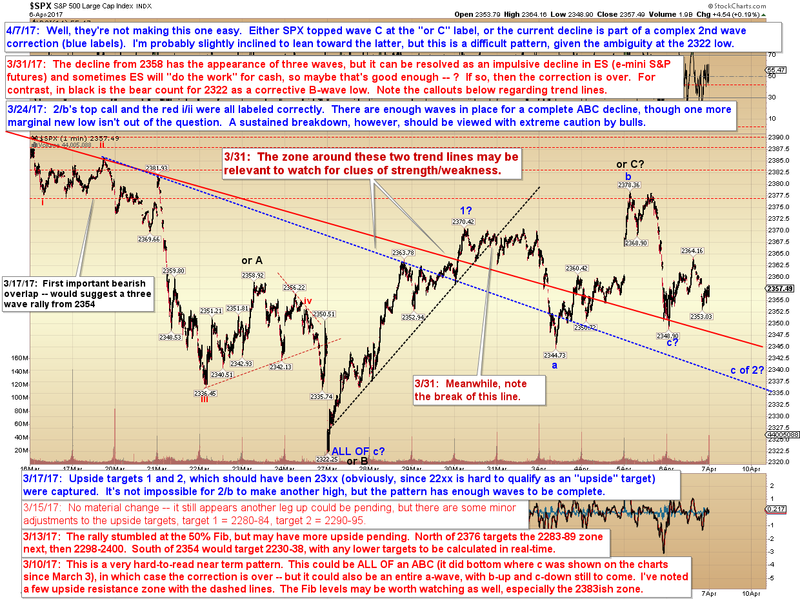 The most "straightforward" wave count is that Wednesday's move represented a B-wave rally within a larger expanded flat second wave, with the corresponding C-wave decline either complete or nearly so. The bear option is that the "or C?" label on the 1-minute chart was in the right place and is the right count. 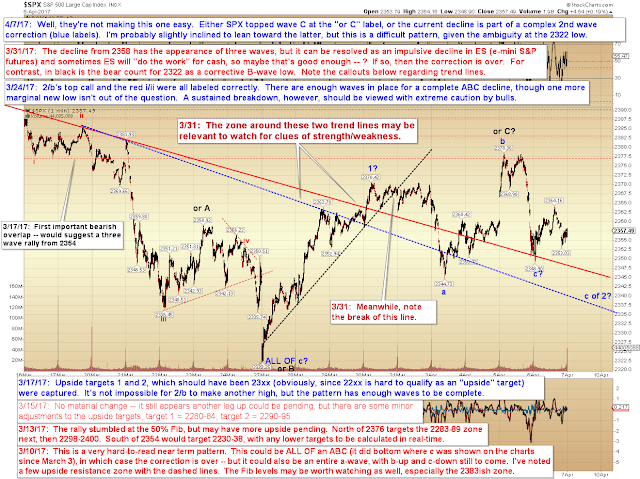 It remains a bit difficult to hold too much conviction, due to the ambiguity of the 2322 low. 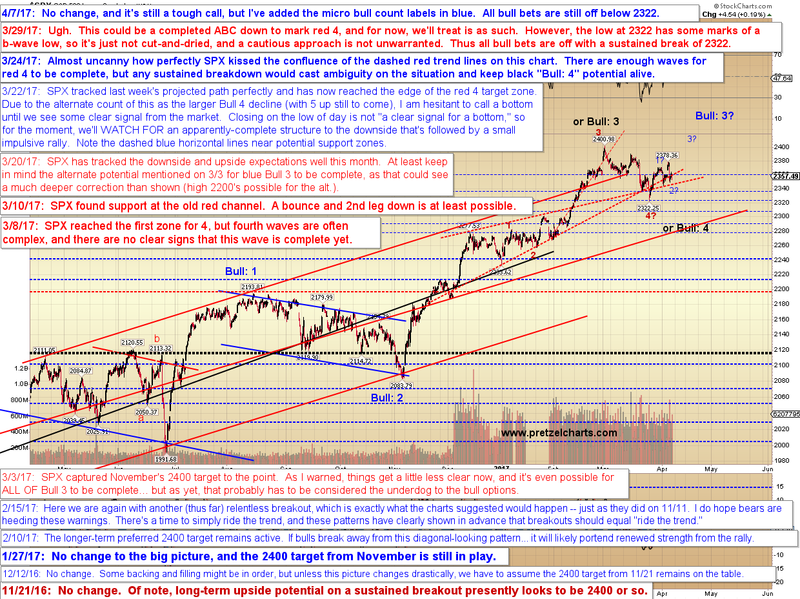 But I'm still very slightly inclined to lean toward the more bullish interpretation. But it is just a "lean" toward -- so an appearance by the bear option wouldn't surprise me, so a sustained breakdown at 2322 would have to be respected. In conclusion, this is one of the tougher calls we've seen in a few months, so I'm leaning toward the bull option, but not married to it. Trade safe.